Get clear on where you are and where you’re headed with these powerful tools! Keeping track of numbers is one thing, but using them as a powerful management tools is something else. Numbers tell us a story, and allow us to manage by results – knowing how to do both of these things will give you more power and control. If you want to be more profitable and more successful in your business, you need to plan for it. These tools will allow you to do just that, and get the kind of feedback that helps you clearly know where you have been, where you are now, and where you’re headed in the future – these are essential for building a successful company! Get a clear look at where your business is and where it’s going! We use five years of your company’s historical data to give you a snapshot of your company’s financial health, compared on a year- by-year basis to industry standards. Get specific feedback on areas most critical to improve, where to focus in order to support your company’s health and build your bottom line. Use These to Plan for Profits! Creating a budget for your company is like creating a set of plan to build a new home. You wouldn’t start a construction project without a plan, and you should never start a year without a plan for your financially successful either. This budget template is not just about putting numbers on a piece of paper. It’s about creating a strategy to succeed. You start with questions that guide you through planning what you want to create for the year. In addition to providing a place to think through goals for the year, you will get a month to month operating budget that then also translates into a cash flow projection. Have a cash flow plan is essential for knowing when is the right time to make financial investment in your business such as new equipment purchases, or knowing when you will need to borrow from your line of credit. Mostly – it will give you peace of mind. Why? Because if you can see it, you can do something about it! The other great thing? You can easily adjust one element of your plan such as a reduction in income, or adding a new position, and immediately see the impact on the bottom line and cash flow. VERY helpful in an organization that has dynamic changes occurring. Check out the sample so you can see the various parts and pieces. If you feel you want more information or would like a live demo of how it works, feel free to give us a call as well. Click here is see a sample of our report. A simple profitability planning tool for your company’s financial health. This template walks you through creating a budget for the year with simple to follow instructions. 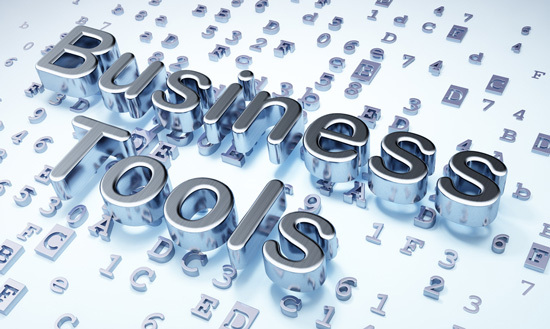 The must-have tool for businesses struggling with on-going cash-flow challenges. A weekly-basis plan tracking work-performed, billings and collections. Quickly and easily identify shortfalls. Plan for upcoming expenditures. These will help you track the gaps! This powerful tool ties to the Budget to Cash Flow template to give you monthly feedback on where you stand compared to your plan. Also gives a quarterly view so you can see if your business is trending up or trending down; and, if you’re off plan, how much you need to close the gap. Clear, concise job descriptions outline responsibilities, skills and responsibilities for a dozen different positions, including Office Manager, Project Manager, Estimator, Principal. Clear deliverables help you create a culture of accountability. Start managing by results! Get a quick view of the big picture! Keep your finger on the pulse of where your business is in real time by tracking your Key Performance Indicators (KPIs). This template makes it easy to calculate your ratios and see if you’re meeting your benchmarks for success. Your banker will be impressed at how well you run your business when you use these templates, especially designed for companies applying for a loan or line of credit. Puts all of your numbers into a well-prepared, easy-to-review package. A one-sheet overview to help you keep your finger on the pulse of the most critical numbers in your business. When you want to know how you’re doing — now!